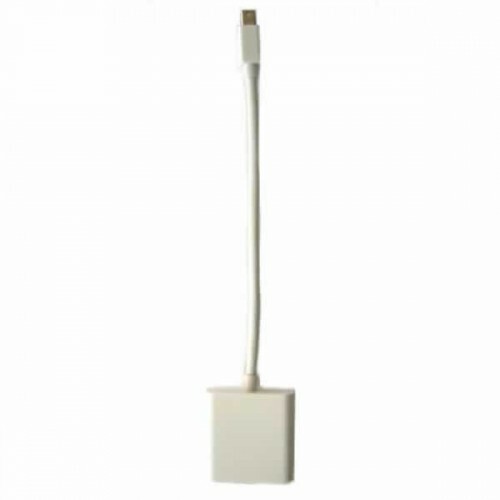 The Apple Mini DisplayPort to DVI adapter allows you to connect an external DVI based monitor to your Apple computer. The adapter connects to the Mini DisplayPort output built into the computer or laptop. The Mini DisplayPort to DVI adapter is compatible with any Apple computer with a Mini DisplayPort output. Mac Pro: 2009 and later, iMac: Late-2009 and later, Mac Mini: 2009 and later, MacBook Pro: 2009 and later, MacBook: Late-2009 and later, MacBook Air: Late-2008 and later.